New fancy version .. nice for the money! 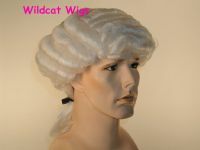 This listing is for the WHITE wig. I am almost sold out. MY SUPPLIER WENT OUT OF BUSINESS!